MPAC�s Media Awards has always been a night to honor and appreciate those who are taking leaps in film, television, art, and media. It�s a night where we leave inspired and hopeful for the future. 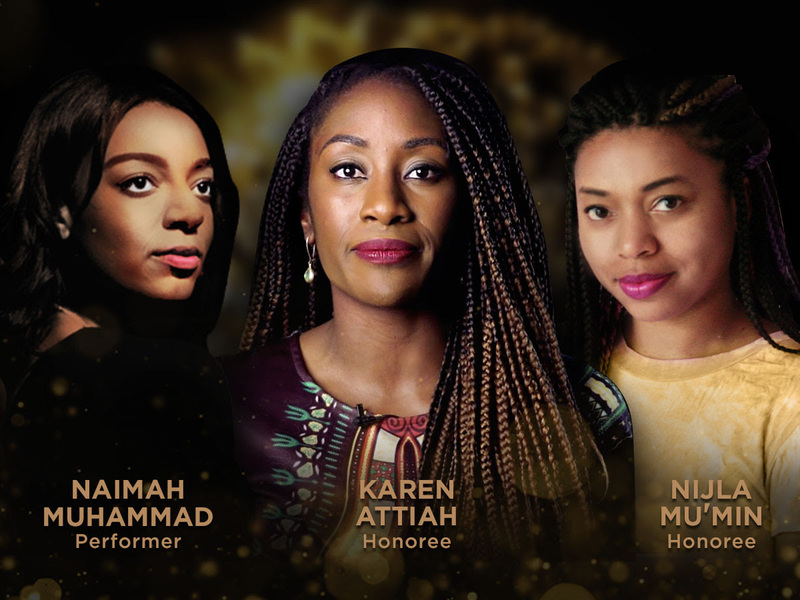 We are thrilled to continue these traditions this year by honoring and highlighting the work of filmmaker Nijla Mu�min and editor Karen Attiah, two women who are leading the charge in their respective industries as true voices of courage and conscience. It�s my pleasure to announce that singer Na�mah Muhammad will be joining us for a special performance as well! Award-winning writer, director, and producer Nijla Baseema Mu�min tells stories about black girls and women who find themselves between worlds and identities. Mu�min�s debut feature film, Jinn, is a coming-of-age story about Summer, a 17-year-old girl whose mother converts to Islam, causing her to examine her own identity. Mu�min is a filmmaker to watch for her authentic storytelling and compelling perspective. Born in Texas to a Nigerian-Ghanaian mother and a Ghanaian father, Karen Attiah is the Global Opinions Editor at The Washington Post, writing on issues relating to race, gender, and international politics, with a special interest in Africa. In 2017, Attiah recruited journalist Jamal Khashoggi to write for The Washington Post, and just over a year later he was murdered in the Saudi consulate in Istanbul. Attiah has demanded justice for Mr. Khashoggi and called for the protection of journalists worldwide. I hope you will join us on Sunday, April 14th to witness these amazing women talk about the critical work that they do every day. It really is an event you cannot miss.